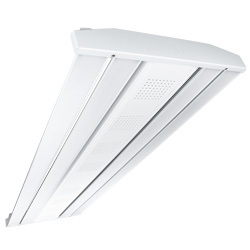 The ultra-slim, energy-efficient EHB Series highbay utilizes high efficacy, high-output LEDs to provide over 70% energy savings compared to HID technology. 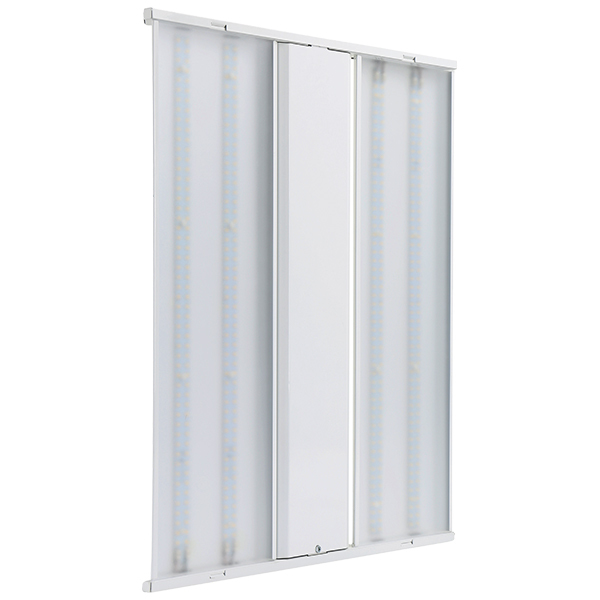 This product is offered in multiple lumen packages optimizing project flexibility for retail, industrial, commercial, manufacturing, warehousing, gymnasium and other large interior spaces with mounting heights up to 50’. The EHB delivers up to 40,000 lumens with a diffused lens and is supplied standard with adjustable aircraft cable mounts. The EHB highbay is suitable for ambient temperatures up to 55°C. Options include 347/480VAC, battery backup and occupancy controls. The TLED-FHB Series is a combination floodlight and highbay that can be utilized to satisfy multiple application requirements. The TLED-FHB is equipped with a state-of-the-art LED light engine that offers optional 0-10V dimming with excellent efficacies and lumen outputs. 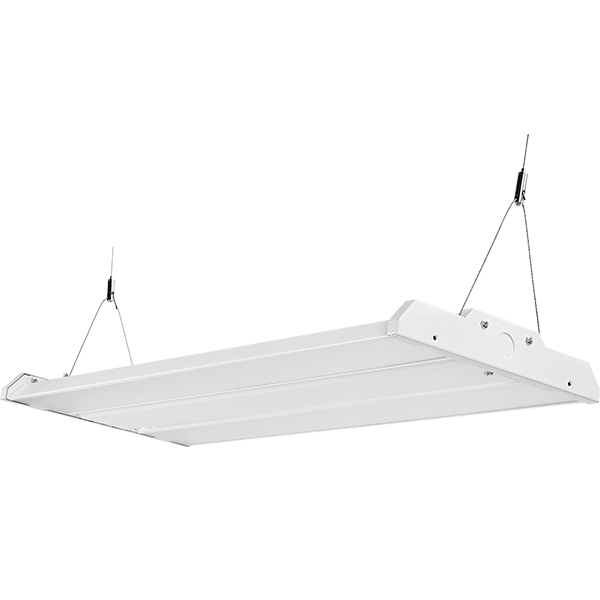 The LHB Series linear LED highbay delivers high-efficacy, high-output LED lighting with up to 70% energy savings over traditional HID or fluorescent technology. The LHB's applications include commercial, gymnasium, industrial, large meeting spaces, manufacturing, retail, warehousing and other applications that utilize a traditional HID or linear fluorescent highbay with mounting heights up to 50’. The slim profile, architectural ALH highbay is ideally suited for retail, industrial, commercial, manufacturing, warehousing, gymnasium, large meeting spaces and other applications that utilize a traditional HID or linear fluorescent highbay with mounting heights up to 50'. Trace-Lite's ALH utilizes high-efficacy, high-output LEDs to provide over 55% energy savings compared to HID technology. 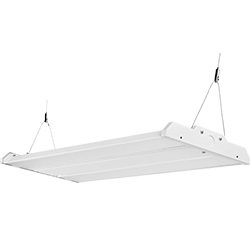 The TSL Series includes 2’, 4’ and 8’ linkable LED strip lights designed to replace fluorescent strip lighting. The TSL Series delivers general ambient lighting in a variety of indoor settings, including schools, hospitals, stores and is the perfect choice for both new construction and retrofits. 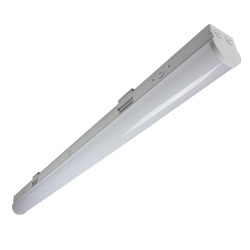 This high-efficacy luminaire is a cost effective solution that provides long-life, uniform illumination and is incredibly easy to install with its mounting clips and access door behind the unit. 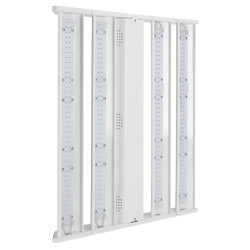 EHB Series High-Performance LED Linear Highbay/nThe ultra-slim, energy-efficient EHB Series highbay utilizes high efficacy, high-output LEDs to provide over 70% energy savings compared to HID technology. This product is offered in multiple lumen packages optimizing project flexibility for retail, industrial, commercial, manufacturing, warehousing, gymnasium and other large interior spaces with mounting heights up to 50’. 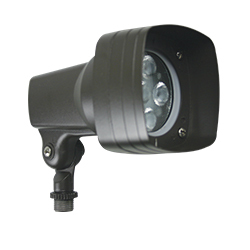 The EHB delivers up to 40,000 lumens with a diffused lens and is supplied standard with adjustable aircraft cable mounts. 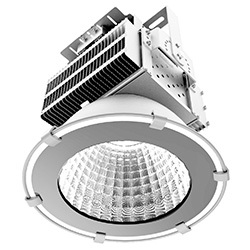 The EHB highbay is suitable for ambient temperatures up to 55°C. Options include 347/480VAC, battery backup and occupancy controls.